Sinco doesn’t hold back, whether it’s getting the best picture possible in the middle of a war zone or telling the story of how post-traumatic stress disorder (PTSD) has crushed the life of a 23-year-old former Marine. Before placing the call, I wasn’t sure how much the Los Angeles Times photographer wanted to talk about Iraq. Sinco took one assignment in the country shortly after the invasion in 2003 and then returned in 2004. As we chat, I realize that he is not shy at all about his experiences—and the emotions that followed. Though he had covered the wars in the Balkans and street gangs in L.A., he says nothing prepared him for the siege of Fallujah. Sinco was embedded with a group of Marines fighting insurgents who had months to prepare for the Americans. “It was one near-death experience after another for five or six days,” he recalls. He kept shooting pictures anyway, sending them via satellite phone during any break in the fighting. His series of war pictures won several awards and was finalist for a Pulitzer Prize. Miller and Sinco both made it out of Fallujah alive, and that should have been the end of the tale. We journalists are taught to keep our distance and not become part of the story. “I wanted to put the whole thing behind me and move on,” Sinco confesses. But his editors wanted a follow-up story after Miller was discharged from the Marines a year later due to PTSD. “My wife said, ‘You are going to be connected to this kid for the rest of your life. Go do the story,’ ” Sinco says. Hanging out with the young man from eastern Kentucky, Sinco found that they had more in common than he first thought. Miller faced a life in the coal mines. The Marines were his escape route. Sinco, a Filipino American who grew up in Olympia, found his high school counselors urging him to forget college and join the Army instead. The UW was his escape route. Sinco ignored their advice, and after a year at WSU, transferred to the UW in the late 1970s. “I love the UW,” he says. “It was a more cosmopolitan and diverse environment.” He started taking classes in Asian American history and sociology. “It helped me find out who I was and what the world was all about,” he says of those times. He helped put himself through school by becoming the assistant advertising manager for The Daily. Communication Professor Fendall Yerxa helped him land some internships and free-lance work, but he couldn’t find a full-time job and left for Los Angeles, where he worked his way up the career ladder to eventually join the Times. Miller’s experience has gone in the opposite direction. Since his discharge, he has suffered from symptoms of PTSD—anger, depression, thoughts of suicide. Sinco became the ex-Marine’s lifeline—taking him to a treatment center in Connecticut, flying to Kentucky when Miller’s wife reported him missing, talking to him for hours on the phone. 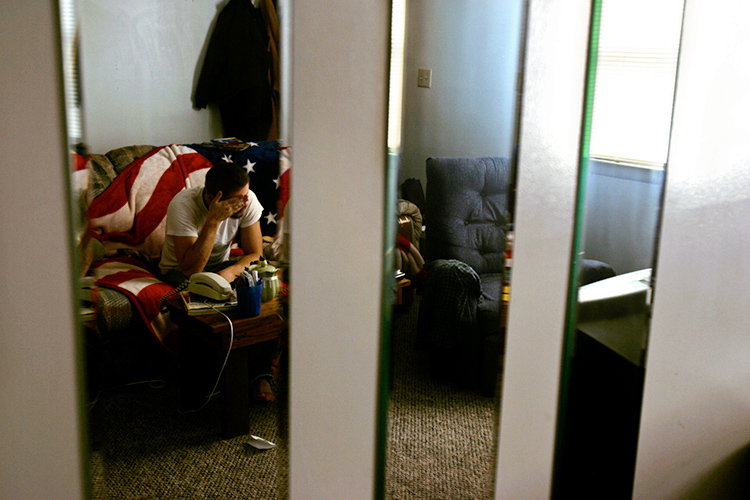 For Veterans Day 2007, Sinco wrote a two-part article about the Marlboro Marine in the Times. We are printing excerpts in this issue (see “Saving Corporal Miller”). Today, Miller still lives in a trailer behind his father’s house in Kentucky and hangs out with his motorcycle friends, but the Times article has helped make a difference. Sinco says the story has reconnected Miller to his dad and his brothers, who never knew how much the ex-Marine was suffering. “As a family full of men, you don’t talk about your feelings,” Sinco says. There is also talk of a book project, and Rolling Stone wants to interview Miller about his music; he played his original songs on guitar for the multimedia version of the Times article.